Think your office is festive? We bet you can’t beat this epic display. 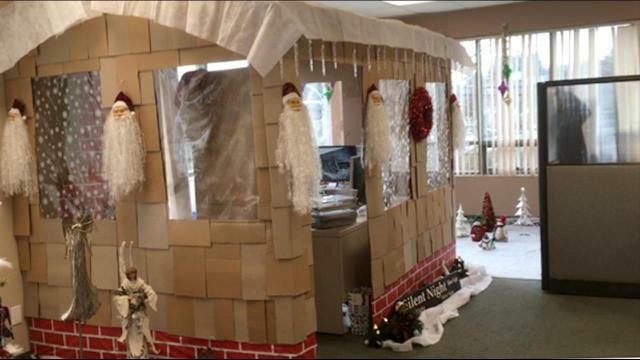 Ryan Fraser, who works for Black Press in Surrey, spent 16 hours over two days building and decorating his very own Christmas cabin around his desk. While he’s known for decorating his work space, he’s kicked things up a notch this year. Watch the video to see how he built the cottage, step by step.